A unique gem of a ride, the TransNH is fun and challenging -- and one that many riders have made a "must do" on their ride schedules each year. What makes this ride one of NH's best kept secrets? 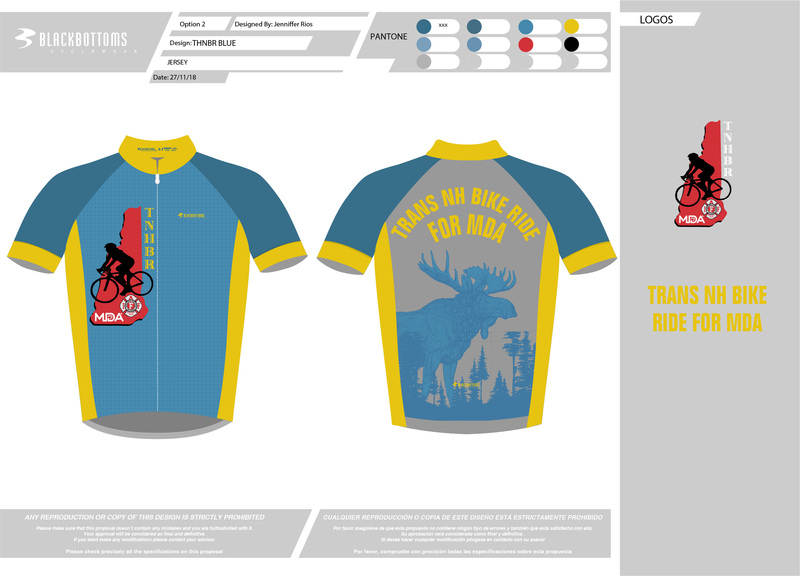 New for 2019 - TNHBR Jerseys for sale!!! Congratulations to Chuck Gallant who won the "Don't Be an April Fool" raffle - a $100 gift certificate compliments of Goodale's Bike Shop. Join us in helping people with muscular dystrophy live life unlimited -- Registration is open now.